Smartphones brands have started launching Dual 4G VoLTE supported phones. Which lets you use Dual 4G SIM at a time. Here are Dual 4G SIM Dual VoLTE phones in India under Rs 10,000. 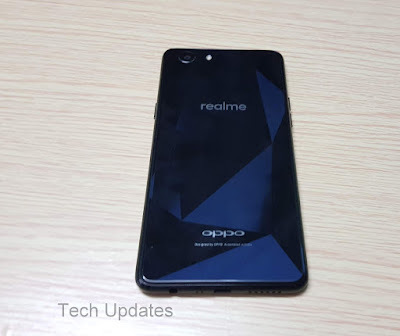 Realme C1 has a 6.2-inch HD+ 19:9 aspect ratio display with a notch powered by 1.8GHz Octa-Core Snapdragon 450 processor coupled with 2GB RAM with 16GB Storage.On Camera, it has a 13-megapixel rear camera along with a secondary 2-megapixel camera for portrait shots and a 5-megapixel front camera Connectivity options include Dual 4G VoLTE, Wi-Fi 802.11 b/g/n, Bluetooth 4.2, GPS + GLONASS, USB OTG. Packed with a 4230mAh battery. Realme 2 has a 6.2-inch HD+ 19:9 aspect ratio display with a notch powered by 1.8GHz Octa-Core Snapdragon 450 processor coupled with 2GB RAM with 16GB Storage.On Camera, it has a 13-megapixel rear camera along with a secondary 2-megapixel camera for portrait shots and a 8-megapixel front camera Packed with a 4230mAh battery.